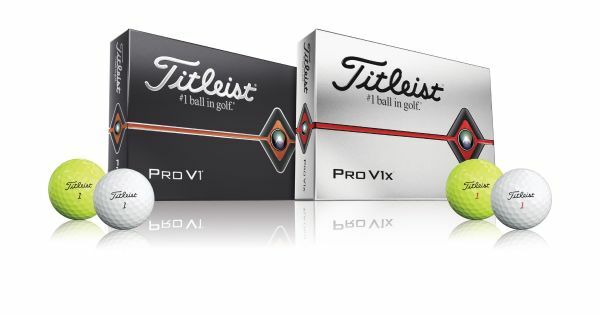 WIN UP TO 3 DOZEN PERSONALIZED PRO V1 or PRO V1X GOLF BALLS!!! Imagine these with your name on it. Have I got your attention? Good. Titleist and Hidden Meadows are teaming up to get you up to three dozen personalized Pro V1 or Pro V1x golf balls for our Master’s Weekend tournament. Entering is easy, you just need to make sure that you like our page, share this post, and the hardest part is selecting the players that you feel will have the lowest combined score this weekend. You get one entry for Saturday, one for Sunday, and one for the entire weekend. Choose wisely though, if your choices don’t make the cut… well, you don’t make the cut. Please enter via email at info@hiddenmeadowsgolf.com or by sending us a message via Facebook. Deadline to enter is Saturday, April 13th at 9:00 EDT. Fine Print: No purchase necessary. Must be at least 18 years old to enter and a resident of the United States. Void where prohibited. Entries must be made through email or via Facebook message. Limit one entry per person for this event. In the event of a tie winners will be selected by random draw. Odds of winning determined by number of entries, and the scores obtained at the 2019 Masters Tournament. Prize(s). The prize(s) that may be awarded to the eligible winner(s) are not transferable, redeemable for cash or exchangeable for any other prize. Participants must provide valid and accurate contact information. If a winner cannot be contacted or is disqualified for any reason, Hidden Meadows reserves the right to determine an alternate winner. Winner will receive one dozen Pro V1 or Pro V1x golf balls with upto one line of customized text. Approximate retail value (ARV) is $62.00 per dozen. Text is subject to Titleist’s approval, and they reserve the rights to reject any phrase or statement deemed to be derogatory. Prizes will be available for pickup 4-6 weeks after conclusion of event. It is the responsibility of the winner to obtain the prize from our location. Entry: Entries must be sent via email to info@hiddemmeadowsgolf.com or via message through Facebook to the Hidden Meadows site. Entrants must like and share the Facebook post to qualify. Persons must select five players to enter. In the event that a player selected does not qualify for a subsequent round, the entry will be considered voided. There is no cost to enter, and no alternate means of entry. DEADLINE TO ENTER IS SATURDAY APRIL 13TH, 2019 AT 9:00 AM EDT. LATE ENTRIES WILL NOT BE ACCEPTED. Winners: Winners will be selected from the pool of entrants that have five eligible players. One winner will be selected from the round played on Saturday April 13th, Sunday April 14th, and a combination score of the two days. Entrants must maintain five (5) players to qualify for any given round, in the event that a player does not make the cut to the next round, the entry will be considered voided. In the event of a tie, winners for a given round will be chosen by random draw. Winners will be asked to have their photo taken with their prize upon pickup, this photo may be used for promotional materials, posted on our website, or on our Facebook page.